The primary function for vitamin K is to regulate the body's blood clotting proteins. Vitamin K acts as an enzyme cofactor, or something that activates the enzymes necessary for blood clot regulation. Vitamin K is a fat soluble vitamin, meaning that it is stored inside fat deposits in the body. It's easily obtained through foods or multivitamins. Vitamin K is one of the essential vitamins. The letter K in vitamin K actually comes from the word "Koagulations", a word from the Danish, German and Swedish languages that means coagulation or clotting. Without vitamin K, blood would be unable to clot. 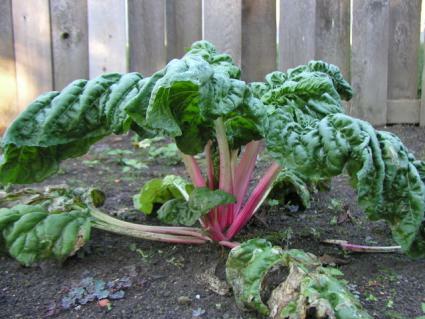 Deficiencies in vitamin K lead to clotting disorders, bruising, and other blood disorders. There's also some preliminary evidence that vitamin K helps build strong bones, especially important in the elderly who are prone to bone fractures and osteoporosis. Vitamin K was discovered in 1929 by a Danish researcher studying the affects of cholesterol. He used as his test subject baby chickens or chicks. He fed the chicks a diet with very low cholesterol. The chicks developed bleeding disorders and often bled to death. He wondered why, and discovered that something else had been accidentally removed from their food when he removed the source of cholesterol. That something was vitamin K. For many years, scientists could only speculate on the function for vitamin K in the body by observing chicks and other animals and their reactions when vitamin K was added or removed from their food. In 1974, scientists at three laboratories discovered the function for vitamin K as a cofactor. We take in vitamin K through foods, especially green, leafy vegetables. Bacteria in the intestines make one form of vitamin K, called vitamin K2, during the normal course of digestion. Vitamin K deficiency is very rare. Most people eat enough vegetables or take a multivitamin, providing enough vitamin K for health. Sometimes prolonged use of antibiotics or use of broad spectrum antibiotics creates an imbalance in the intestinal flora, resulting in too few of the 'good' bacteria that manufacture vitamin K. Damage to the intestines from disease, such as celiac disease or other gastrointestinal diseases, can also disrupt the body's production of vitamin K in the intestines. This is rare, however. Most people can get enough of this essential nutrient from food sources or supplements. Vitamin K is known as the "clotting vitamin". The function for vitamin K is that it acts in concert with enzymes in blood plasma to regulate clotting functions. Think about the miracle of blood clotting with the example of a paper cut. A tiny cut on the tip of your finger seals itself in a few seconds. Once the cut is registered by the body, the body sends out many chemical messengers and activates clotting mechanisms to stop the flow of blood, seal the cut, and prevent infection. The cut may hurt for a while, but without this delicate symphony of body chemicals, you would bleed to death from something as simple as slicing your finger on a piece of copy paper. Vitamin K itself doesn't clot the blood, but acts as a cofactor, or a compound necessary to activate the enzymes that signal the blood to clot. Without the cofactor vitamin K, the body wouldn't respond and form a blood clot. People often wonder why doctors, particularly surgeons, caution patients not to take vitamin K prior to surgery or to avoid certain vegetables when taking drugs. Drugs such as Wafarin, Coumadin, and other blood thinners may be adversely affected by too much vitamin K, so doctors often caution patients to avoid green leafy vegetables in excess while taking these medications. Surgeons may recommend avoiding additional vitamin K prior to operations due to the fact that it may increase bleeding. It's easy to obtain all the vitamin K you need to be healthy from the foods you eat. Enjoy the following fruits and vegetables raw or cooked. Vegetables: Many vegetables are rich in vitamin K. The richest sources of vitamin K are green leafy vegetables such as Swiss chard, spinach, kale, collard greens, mustard greens, parsley, asparagus and green leaf lettuce (such as Romaine and others). Some of the brassica vegetables are also rich in vitamin K. These include Brussels sprouts and broccoli. Fruits: Fruits contain moderate to low amounts of vitamin K. Plums are the best source of vitamin K, followed by blueberries and kiwi fruit. 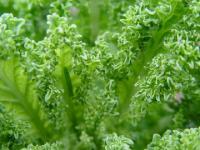 Looking for recipes to include more green leafy vegetables in your diet? Search recipes including ideas for salads, main dishes and appetizers. Parsley is a rich source of vitamin K, but it's often relegated to the side of the plate as a garnish. Discover ways of cooking with parsley to incorporate more of this vitamin K rich food in your diet. The Linus Pauling Institute provides a rich and detailed fact sheet on vitamin K.
Ask the Dietician features a question and answer format on vitamin K issues, especially those related to medications and vitamin K.